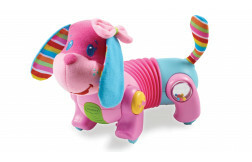 Pulling for cause & effect learning (5m+). 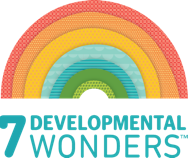 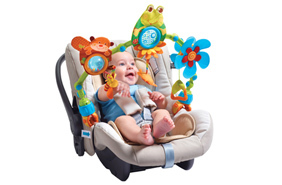 During the first three months, your baby needs visual stimuli to help develop her eyesight. 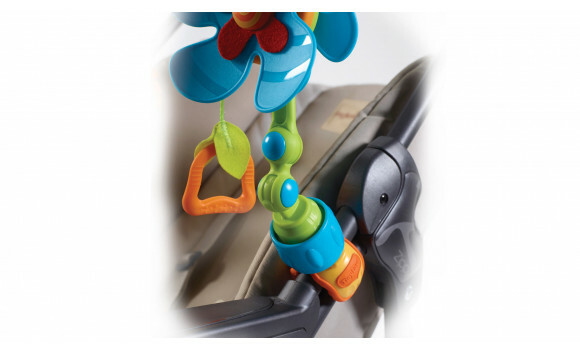 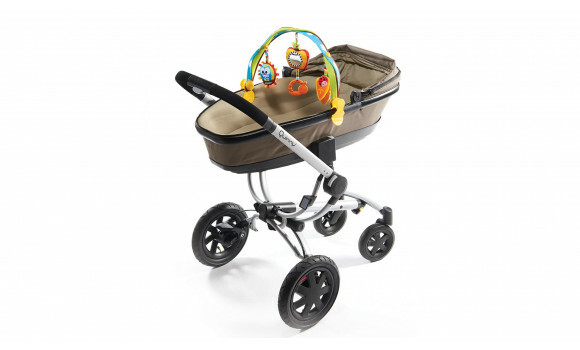 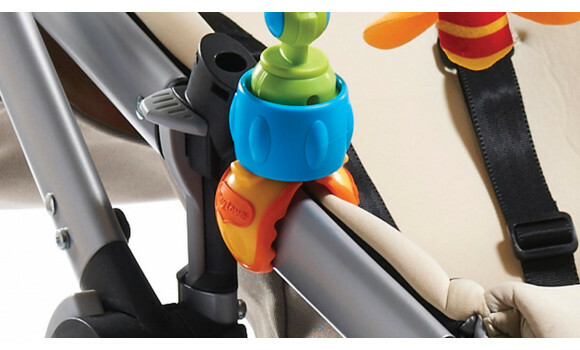 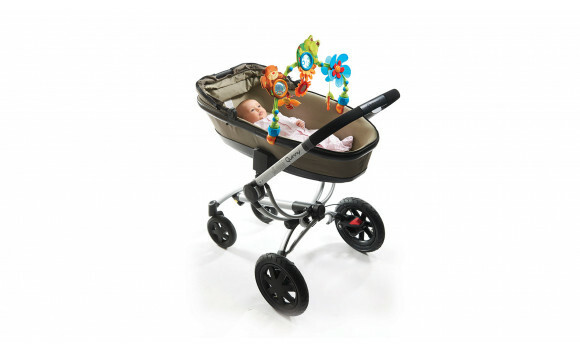 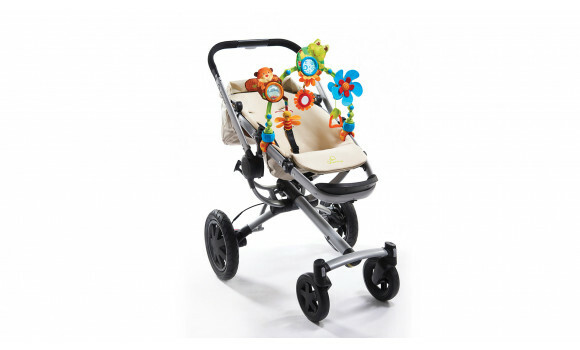 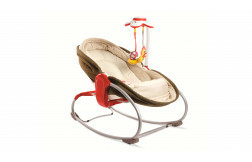 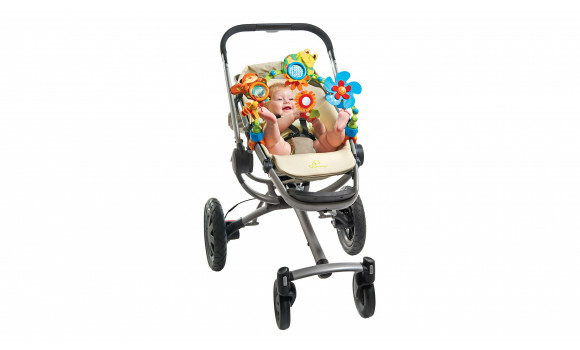 Position the My Nature Pals™ Stroll at an optimal distance (8-12 inches) from baby while in the stroller or infant carrier. 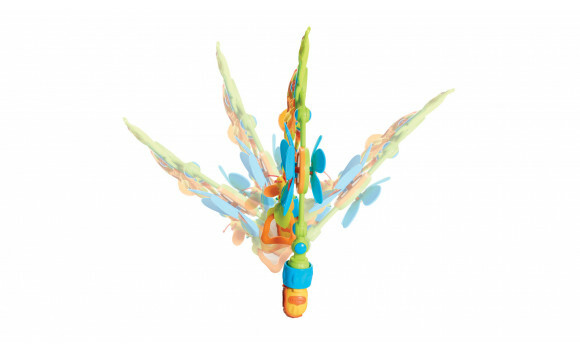 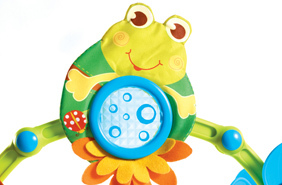 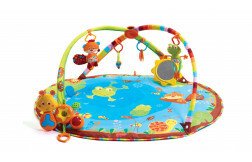 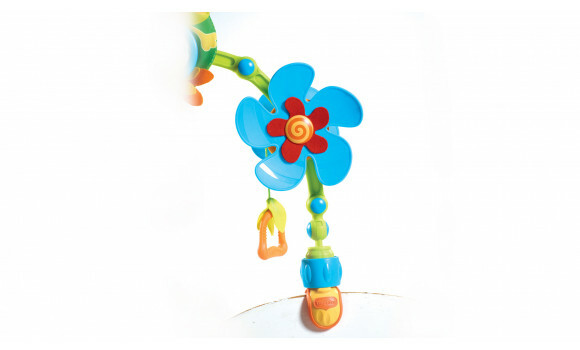 As he lies on his back facing the toys hanging within arm's reach, baby can gaze in the mirror, at the frog prism or the toys dangling in front of him. 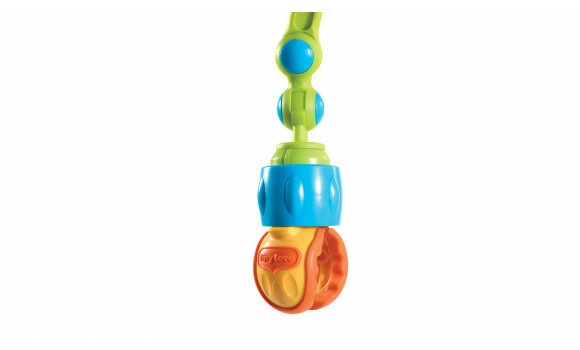 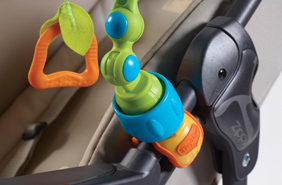 Baby’s developing senses and hand control allows him to reach out to the toys confidently, bat at them, hold them and pull them to his mouth for further exploration.